In a shallow plate, whisk eggs and milk. Set aside. Pre-heat nonstick griddle or large skillet over medium-high heat. Dip sliced bread into egg and dredge in crushed cereal. Spray pre-heated griddle with cooking spray and cook each slice of cereal crusted bread for 4 minutes on each side. You can serve this breakfast with fresh fruit and syrup. 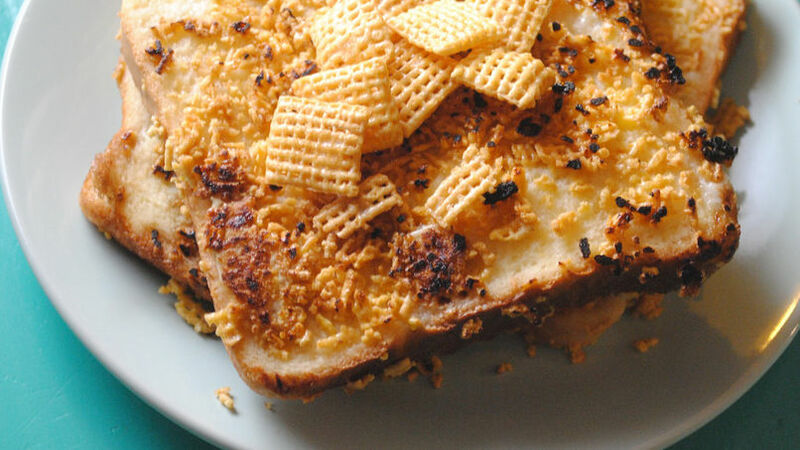 Think outside the cereal box and add a crispy crunch to your morning French toast! Crushed Rice Chex™ cereal adds a crunchy taste with a hint of sweetness.